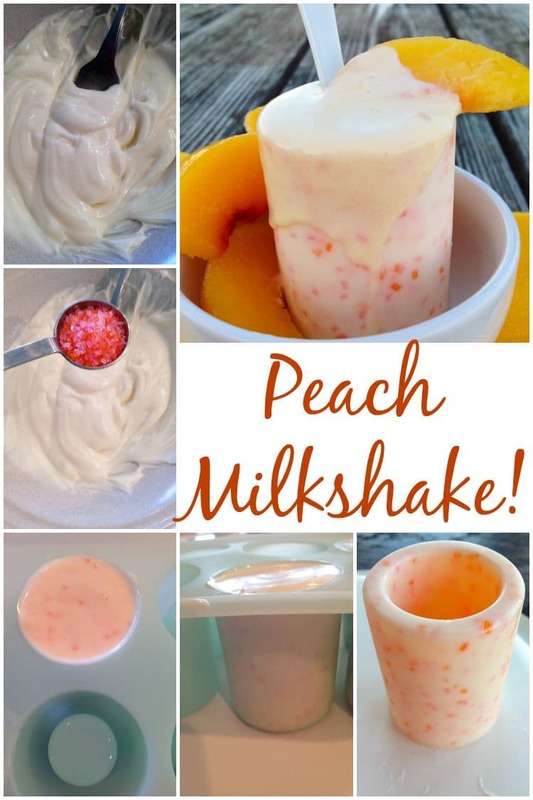 August is National Peach Month and what better way to enjoy some yummy peaches than with an ice cold milkshake. This is a treat that the kids and adults will both enjoy. This is a fun twist on a traditional milkshake since you don’t drink it out of a cup. Instead, you’ll serve up this tasty homemade milkshake in a white chocolate cup! So easy to make and so fun to serve. Get creative with this recipe and try different types of fruit. Homemade Milkshake – Peach Flavor In A White Chocolate Cup! One cup of white chocolate candy melts at a time, place in medium microwavable mixing bowl. Heat in the microwave for 60 seconds. Remove and stir. Repeat in 20-second intervals, or until completely melted. Be sure not to overheat. Remove from microwave and stir until chocolate is completely smooth and silky. Add peach & pink sprinkles to melted white chocolate candy. Stir mixture well until sprinkles are evenly distributed. Using a small spoon, slowly pour white chocolate into each shot mold. Be sure that mold has been thoroughly cleaned and dried ahead of time. Place mold in freezer for approximately 30 to 40 minutes. Remove mold from freezer. Slowly invert each shot mold until white chocolate candy melt is released. Carefully place each chocolate mold upright onto a clean, flat surface. Add sliced peaches and vanilla ice cream to blender (I recommend the NutriBullet). Blend on high for approximately 60 to 90 seconds, or until you reach your desired milkshake consistency. 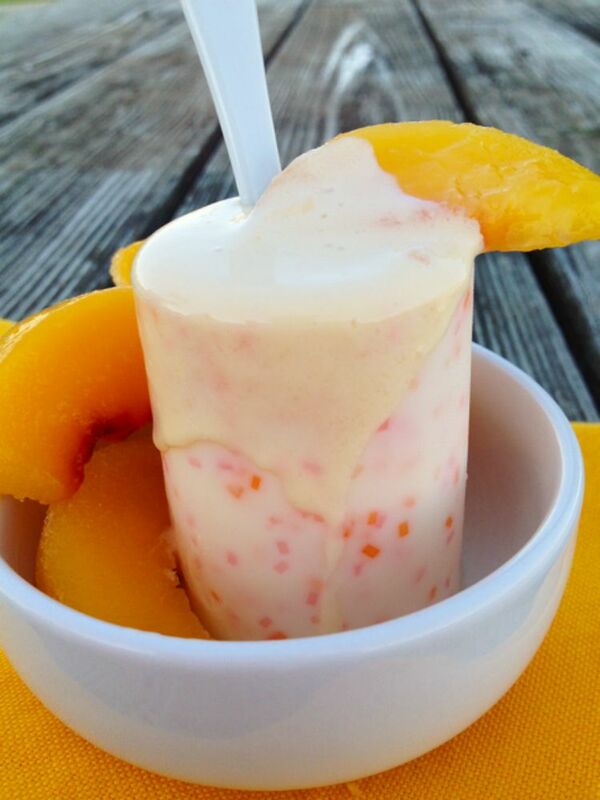 Fill white chocolate cups with peach milkshake (you may have a little leftover). Garnish with extra sprinkles. Serve immediately with tiny appetizer spoons or straws (simply cut regular size straw in half). This sounds delicious, especially since it’s so dang hot and humid here! Laurie recently posted…What is a Life Coach? Oh my goodness, it’s been so hot here in California! Today was 108…not fun. Thankfully, we don’t have the humidity. I have GOT to make some of this for my kids. I actually have a fridge full of peaches just for this! Even without the white chocolate cup, it’s delicious! Use up those peaches! Oh my! I have to make this! Thanks for sharing.